Wisconsin Badgers Men's Basketball Facts & History! Trivia about Ohio State players, coaches and draft picks. 1. In what conference does the Wisconsin Badgers Men's Basketball team compete? 2. What are the official colors of the Wisconsin Badgers? 3. What team did the Wisconsin Badgers team defeat in the 1941 NCAA Championship game? Going way back but, to date, it's their only NCAA title! 4. The Wisconsin Badgers Men's Basketball team plays their home games at the KohlCenter. What is the nickname of the student section? 5. Who did the Wisconsin Badgers Men's Basketball team hire as their head men's basketball coach in 2001? 6. What is the official mascot of the Wisconsin Badgers? 7. Frank Kaminsky played for the Wisconsin Badgers from 2011-15. What team drafted him in the first round, number 9 overall in the 2015 NBA Draft? 9. 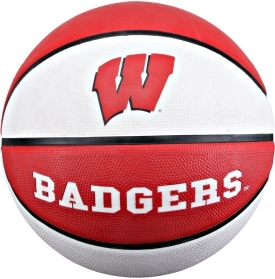 What team defeated the Wisconsin Badgers Men's Basketball team in the 2015 NCAA Championship game? 10. Frank Kaminsky played for the Wisconsin Badgers from 2012-15. What team drafted him in the first round, number 18 overall in the 2015 NBA Draft?